Marty was been the heart of our breeding program. He turned 31 in 2017 and is still looking and feeling good. 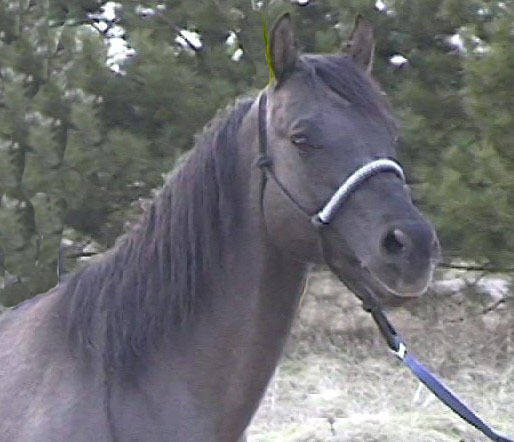 Marty is a trained reiner by Tim McQuay but unfortunately his show career was cut short when he foundered as a 4 year old. He is proving himself as an excellent sire through his foals. Marty has produced foals earning AQHA points, NRHA Money and NRHA youth points. Marty's offspring are extremely willing and a pleasure to work with. 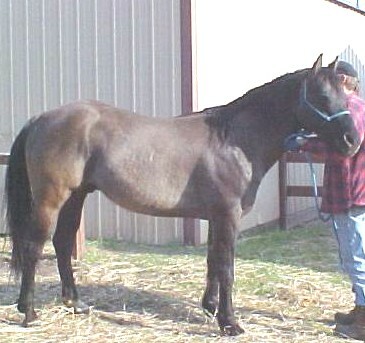 Marty's sire, Jacs Little Pine is a NRHA earner of over $35,000. and has his AQHA ROM. He has produced offspring with earnings in excess of $77,000 including Jacspin. 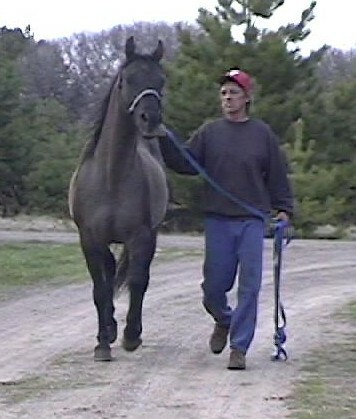 Marty's dam, Mainly Martha earned over $21,000. NRHA, her AQHA ROM and has produced offspring earning over $86,000 including Marthas Mega Jac, Gold medalist on the United States Equestrian team. Mainly Martha, 1980 brown P- 15.0 Reserve World Champion Jr Reining, NRHA Open Super Stakes Champion. 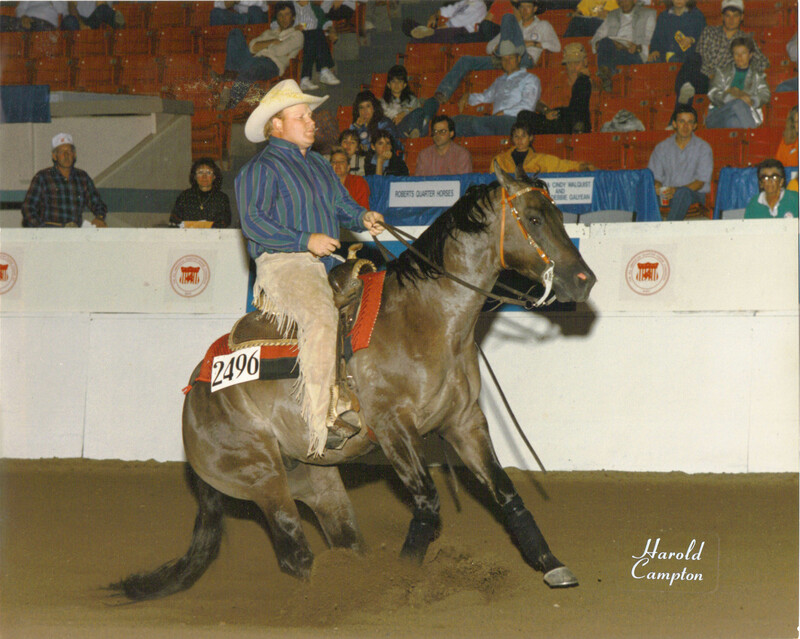 ROM Performance, '84 O, NRHA money-earner. Performance Point Earner, Perf Points: 15; NRHA Earnings: $21,329; Mare Offspring Record, Reserve World Champion Offspring, NRHA, top Ten AQHA World Show Offspring, ROM Performance Offspring, NRHA Money-earners, World Show Qualifiers. Offspring earning 88 AQHA pts. Dam of Marthas Mega Jac, earner of $93,000+. 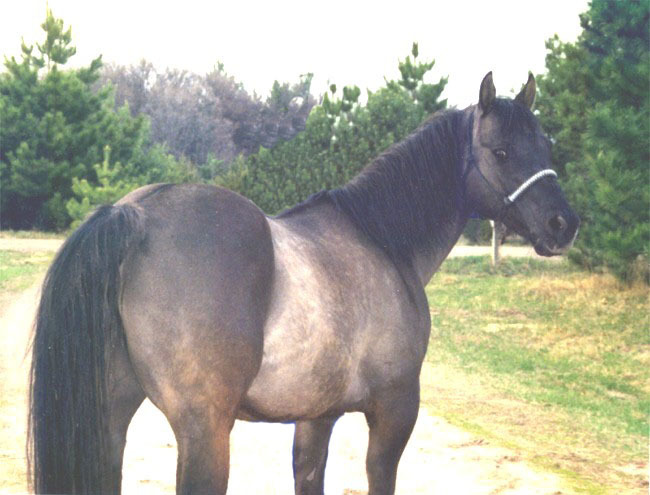 Mr Joe Glo, 1968 0556944 black, H- 16.0 P- 30.0, AQHA Champion, '72 O, ROM Performance, '72 O, Halter Point Earner, Performance Point Earner, Total Points Earned: 46; Halter Points: 16; Perf Points: 30; Stallion Offspring Record:, World Champion Offspring, Reserve World Champion Offspring, Superior Halter Offspring, Superior Performance Offspring, AQHA Champion Offspring, ROM Performance Offspring, NRHA Money-earners, NCHA Money-earners, AQHA Offspring Record, Total Points Earned: 4,338.5; Halter Points Earned: 388; Halter Point Earners: 23; Superior Halter Awards: 3; Performance Points Earned: 3,950.5; Performance ROMS: 77; Superior Performance Awards: 17; AQHA Champions: 5; Total Superior Awards: 20; Total ROM's: 77; World Championships: 1; Res World Championships: 1; NRHA Offspr LTE: $204,580, Number of NRHA Offspr: 49, NRHA Offspr Avg Earnings: $4,175. NCHA Offspring earnings over $7200.